We have what you're looking for! Special orders welcome! Trinity Pharmacy offers a wide variety and selection of over-the-counter (OTC) medications. With an experienced and knowledgable staff we can help find the medications you are looking for as well as answer questions and give sound recommendations. In addition to a full assortment of traditional OTC items, Trinity Pharmacy offers a wide selection of herbal medications and nutritional supplements. For those hard-to-find items, our staff will go the extra mile to track down what you are looking for, using one of the nation's leading pharmaceutical wholesalers. If an item is not on our shelves, we will be happy to locate it for you. 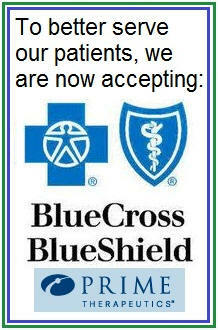 Special order items are always welcome at Trinity Pharmacy! Do you have a specific question? Give us a call or contact us with your question! 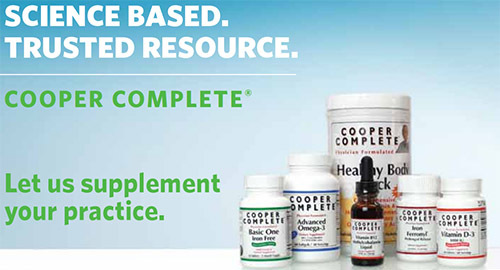 Trinity Pharmacy is proud to offer COOPER COMPLETE! Cooper Complete is more than a name; it's an accurate description. Developed by preventive medicine pioneer Kenneth H. Cooper, MD, MPH, and based on the latest scientific research, each formulation contains the precise amount of vitamins and minerals listed on the labels. That's the Cooper Complete guarantee—they're pure and potent. Launched in 1998 with a team of the country's leading scientists, the unique Cooper Complete multivitamin formula has been shown in scientific studies to be highly absorbed, to reduce oxidation rate of LDL cholesterol, and to reduce homocysteine and C-reactive protein levels by a third.